Finding out whether a person is a good one or not is sometimes done by checking on their criminal history. 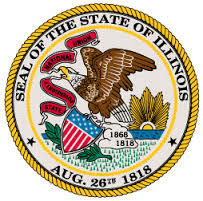 In Illinois, you can check on a person’s criminal background with relative ease. Employers, families with kids looking for a babysitter, exes looking for information the new person in their kids’ other parent’s life, and anyone who wants to know if someone is a criminal can look up this information easily and without much information other than a name. It’s not uncommon for people of all walks of life to want to search for Illinois criminal records information on someone, and it’s not difficult. In Illinois, you can find traffic citations, arrests, DUIs, felonies, misdemeanors, and white-collar crimes anyone committed, and you can decide for yourself whether this person’s history is something you can live with or not. If you know where someone lived their entire life and suspect they were arrested in that county, you can look up their criminal information easily by visiting the local police station. Anyone can find any information that occurred in the past of someone arrested in this area. It’s not as comprehensive a list as many others you can find by going through the federal government, but it’s something you can handle on your own if you choose. You’ll need the name of the person in question, and that’s about all. You won’t get to read details of trials or anything of that information, but you can use this information to get an idea of what someone was arrested for in their lives. If you suspect someone was arrested at any point in Illinois, look up their information online by visiting the courthouse of the county you suspect they were arrested. This information will be provided for you by checking the public records option. The Clerk of Court keeps this information on hand for everyone, because they know it’s a matter of public record important for many. If you want to see if someone has a criminal record anywhere in the country or world, you’ll need to obtain permission from them. This is easy if the person is willing to provide that information for you. You’ll need a signed permission for a criminal background check with fingerprints, they’ll need their fingerprints taken, and you’ll submit that information to the State of Illinois. The information from those searches is sent to you when it’s obtained, and it’s comprehensive. There is nothing that you won’t find with this information on hand. This information cannot be used to harm a person, but it can be used to deny someone employment or a chance to volunteer with anyone. You can work on finding this information yourself, but you should look up the most comprehensive list if you’re an employer or location where kids are being worked with by the person in question. No one wants to leave their kids in the care of someone who is not trustworthy. We are happy to assist you with an Illinois criminal record search however if you need an official background check, that’s FCRA certified, you will need to obtain this from a different resource. Our Illinois criminal records database is for reference only can cannot be used for employment, rental agreements, security clearances or academic screening.